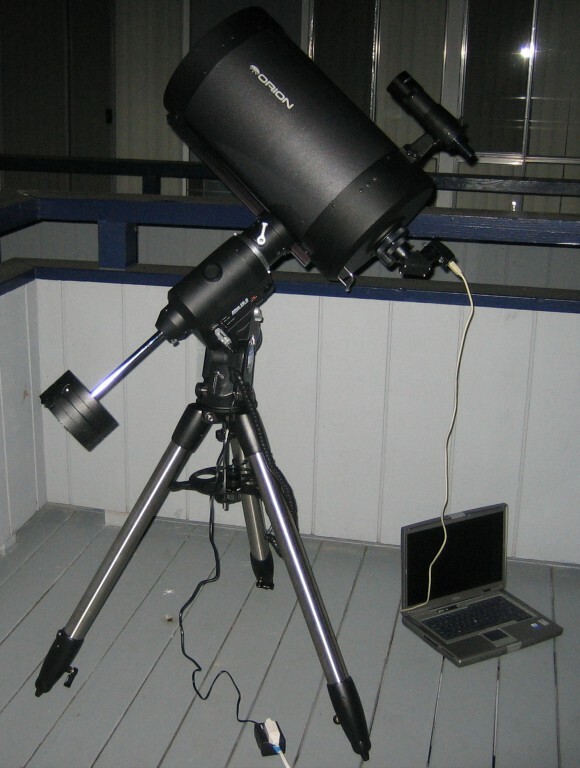 July 2007: My current imaging setup consists of a 10" Meade LX200R OTA mounted on an AP900GTO mount, with a piggybacked Pentax SDHF-75 and DSI Pro for guiding. The camera I'm using with this setup is an Artemis ART11002, a 35mm format 11MP cooled ccd. 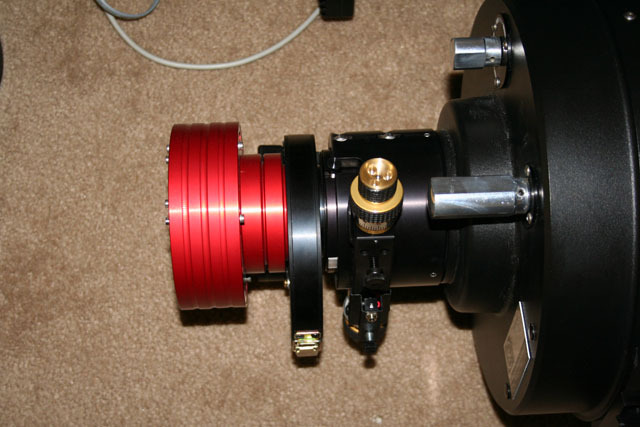 This is connected to a TrueTech filter wheel and JMI 3" motorized crayford focuser. 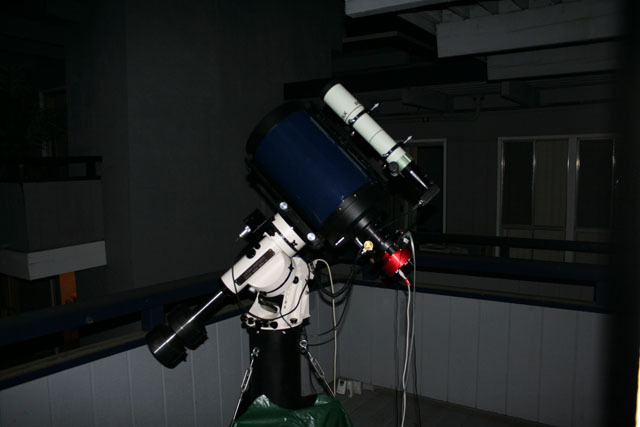 October 2005: I moved up to a C11 on an Orion Atlas mount, normally used with a Lumicon GiantEasyGuider off-axis guider, still with the ART285. 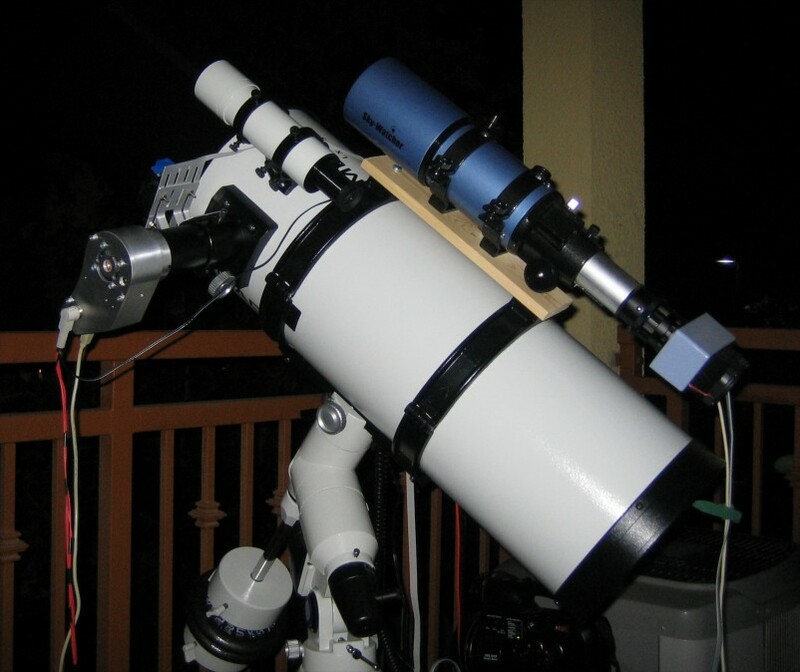 May 2005: When I moved out to California from the UK, I bought an LDX75 8" Schmitt Newtonian to replace the LDX55 8" I sold in the UK. The camera is an Artemis 285. The modded webcam can be seen below as the guide camera on the piggy backed scope. 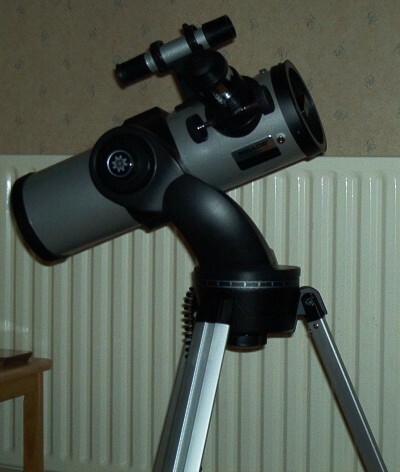 February 2004: I bought my first telescope off eBay - a Meade DS 4" Newtonian on a goto mount. Hooking this up to my laptop and doing a long exposure mod to a webcam got me going in this hobby. My first tentative images of the moon and Saturn from back then are still in the gallery.